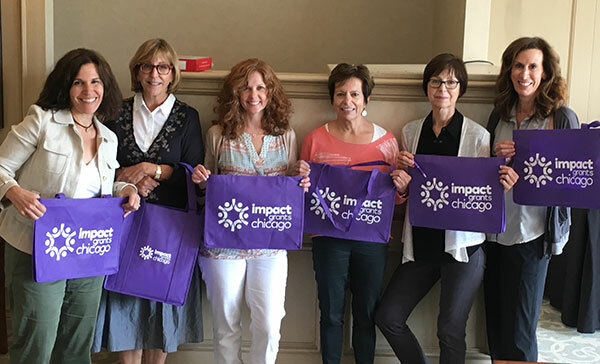 One of the fundamental tenets of the Impact Model used by Impact Grants Chicago, is that 100% of each $1,000 membership donation is used to fund the annual $100,000 grants to nonprofits. In order to achieve this goal, we graciously accept additional donations from individuals and local businesses to help defray the organization’s operating expenses. To make a tax-deductible donation to Impact Grants Chicago, please click on the “Give a Gift” button below. If you wish to make your donation in honor or memory of someone special, please be certain to complete the information on the payment page to ensure it is appropriately acknowledged. If you have any questions or need assistance, please contact us at treasurer@impactgrantschicago.org.